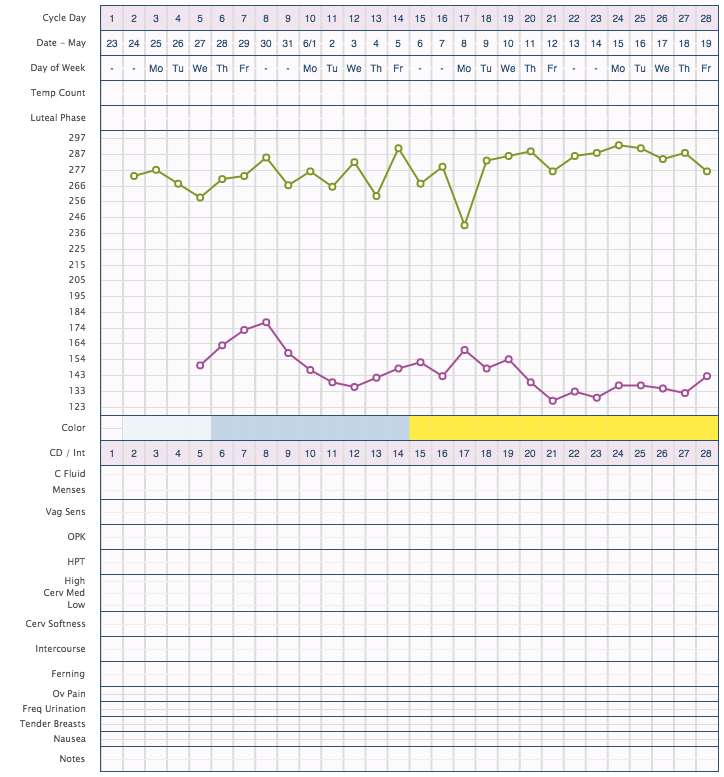 The OvaCue® Fertility Monitor can also be useful in determining if ovulation did not occur during a cycle. The graph below provides an example of an anovulatory cycle. Notice that none of the expected trends in oral and vaginal readings occurred. There is no clear Cue Peak, suggesting that no dominant follicle was selected, and the vaginal readings remain low throughout the cycle.